This doll is absolutely gorgeous. I totally fall in love with her each time I see her for real. She has a very strong character that I think few have. 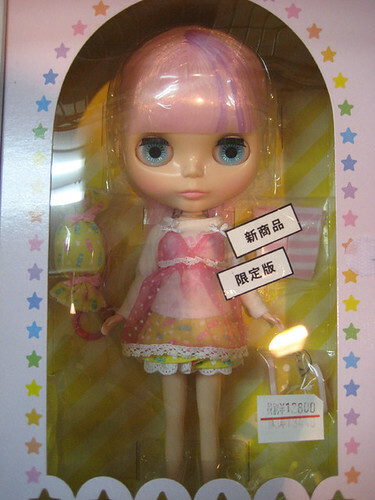 Most Momoko are beautiful. But this one really is special. Okay so now I’m officially disappointed in Petworks/CCS. Just as I finished typing my previous post I decided to check their information page, to see if there was any news. And there was. 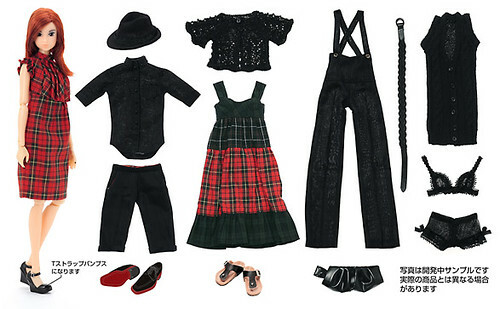 They updates it yesterday about the new collection: it will be composed of two sets. And I’m so disappointed that they seem to definitely change their marketing method. It was a nice thing for once, but as a habit it’s not fun at all. I know from the start that I won’t be able to get a single item from the new collection, and I’m sure I’m not the only one. CCS was my favorite dolly brand by far, and now I won’t be able to buy their clothes anymore. That makes me sad. And feel like I totally doesn’t matter to them (or other people like me who can’t spend so much). I’m sure they have their reasons for doing that (they’re sure to get their money back right from the start), but it makes it seems like its all about money and not about the people. Of course it is. But you don’t have to show it like that. On the practical side: the sets will be 39,000 yens and once again sold on preorder through Azone. Preorder period is from June 1st to July 21st. They will be delivered in winter. Petworks was showing the samples of the next CCS collection (for this autumn). Here is a selection of pictures, you can see the others on my Flickr (I’m not showing all color variations here). Once again this new collection is very different from the previous ones. I don’t love all the pieces, but I do appreciate their originality. They didn’t know yet whether the collection would be sold as a set or each pieces separately. I surely hope those will be separates! First, because I want to dream and I want other people to dream also. The sets are too constraining, you can’t buy a piece at a time (and they’re sold through preorder only, which means you have to buy them and then wait for half a year to get your clothes!). 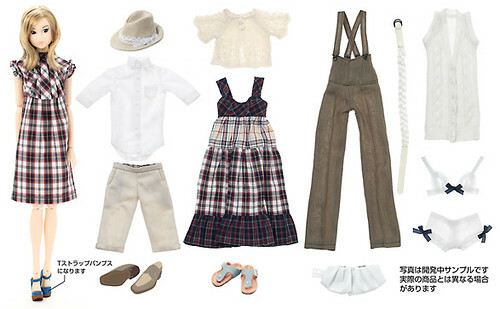 And while the idea of a unique set destined to give you a doll and basic pieces is nice, if they do it each time you can’t really talk of “starting sets” anymore. And here is a pic of the yukata girls to come out this summer (the others are here). For those who don’t already know it, CCS (Close-Clipped Sheep) is the name of the official Momoko brand. They release two collections per year: one for autumn/winter, and one for spring/summer. Each collection is made of several pieces of clothing and two dolls, all based on a given theme. So, I have a lot to write about ! 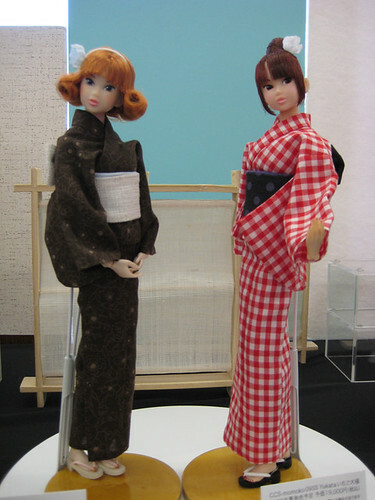 The past weeks have been full of dolls & toys related stuff: events, exhibitions, news and new releases. For those of you who speak french, you can see an overview in two parts of all that on the french side of this blog. I have to admit I don’t have the courage to translate those posts in English right now. So instead I will split them and write several shorter notes. Since I plan to do a massive Flickr update this week, I will talk about the events as I show the pictures. No overview, I’ll write the detailed posts directly. And for the things I couldn’t photograph, I’ll talk about them in between. Now let’s talk about dolly news! – My Little Candy is out! Her release date was last friday. I could see her exhibited before that at Junie Moon (no pics allowed). She’s very cute! And she really looks like a candy with her hair colors. So sweet! The picture abovewas taken in a shop on Friday (you can find two others on my Flickr). – Doronjo is partially released. Those who preordered her on CWC’s websites already received her. I got to see her at Junie Moon too. She’s prettier in real life than on her promo pictures. Her outfit seems really well made, not a cheap looking leather, but something nice. Her chip-heart seemed smaller. In the promo pics it seemed to take the whole place in her eye, which bothered me. And her hair is a very nice shade. The only thing is that it seems to be rather thin. It made me think of my Sally Rice’s hair. You already can see a few pictures of her on Flickr. – the next Momoko release should be up on the official site on March 1st. At least that’s what I understood from Namie Manabe’s blog. She was talking about her shooting. I can’t wait to see what she will look like! – the CCS Back to Basics sets (the 09S/S collection) are on display at Azone (Akihabara) until March 10th. And this time they show the dolls with their final make-up and shoes! 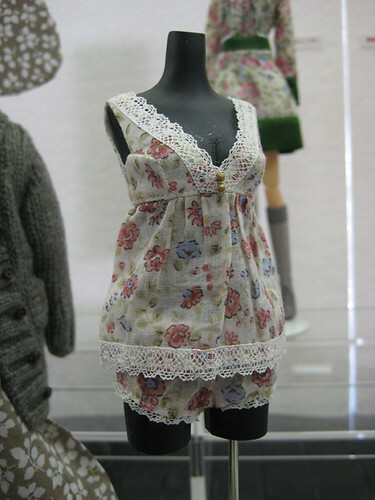 I already saw the clothes and doll-samples at the Dollshow, but the dolls were not complete at that time. And pictures were forbiden. The good news is that I can take pics in the Azone shop!! So be prepared for an update of my Flickr stream very soon with those beauties. And probably a note here about them too.